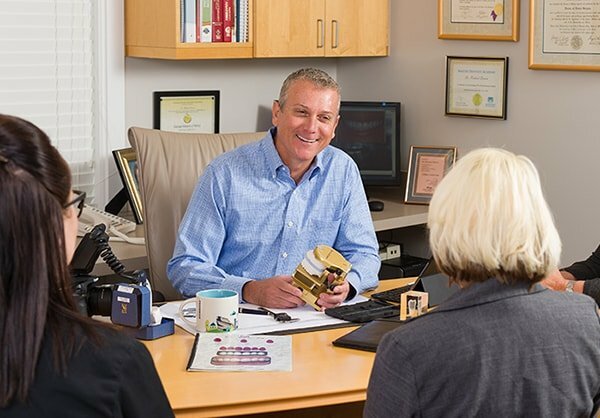 Since beginning his practice, Dr. Dervin has never wavered from his pledge to provide the most advanced dentistry in a way that is affordable to the greatest number of people. Dr. Dervin has been in private practice in Shawnee since 1988. After graduating from Kansas University with a Bachelor of Science degree in Biology, he attended the University of Missouri, Kansas City Dental School and went to work. Since graduating, he has continued his education journey for the benefit of his patients. Dr. Dervin is a graduate of the Las Vegas Institute for Advanced Dental Studies where he obtained the knowledge to treat the most advanced cases in aesthetic and reconstructive needs. Advanced techniques in smile enhancement, treatment for TMJ problems, and full mouth restoration are all possible with his training. Recently, Dr. Dervin has also reached the Diplomate status from the International Dental Implant Association. After completing the Masters Series from Implant Seminars, Dr. Dervin also participated in a mission trip to the Dominican Republic where he was able to help many Dominicans with advanced implant placement, so they could have a brighter future with many years of oral health to look forward to. Dr. Dervin has been married to his wife Julie for more than 30 years and has three great kids who are grown and busy with their own careers. He volunteers every year for the Kansas Mission of Mercy, providing much need services to those without means of modern dental care. He has also been working with the Kansas National Guard, providing care to ready our soldiers for deployment so that they can focus on the job at hand. In his spare time, he loves to golf, fish, hunt, and scuba dive when he can get to an ocean. He’s a huge Royals fan, Chiefs fan, and loves his Jayhawks. 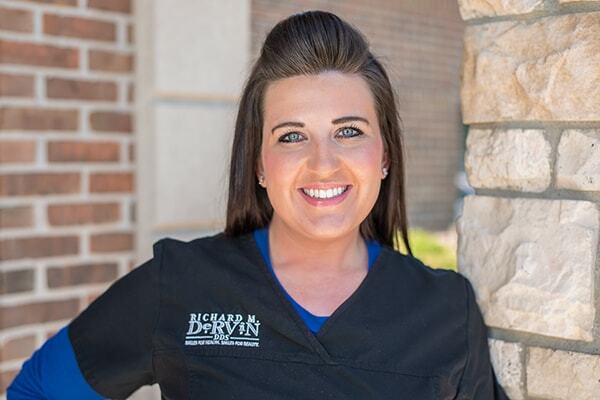 Dr. Dervin is a highly educated and experienced dentist in Shawnee, KS. After graduating from Kansas University, he earned his DDS from the University of Missouri, Kansas City Dental School in 1988. Since graduating, he has continued his educational journey for the benefit of his patients. As a graduate of the world-renowned Las Vegas Institute for Advanced Dental Studies (LVI), Dr. Dervin obtained the knowledge to treat the most advanced cases in aesthetic and reconstructive needs. Advanced techniques in smile enhancement, treatment for TMJ problems, and full mouth restoration are all possible with LVI training. Dr. Dervin stands out as a Shawnee dentist because he has also completed advanced training in the restoration of implant dentistry from Implant Seminar. We have one goal: To focus on expertise, results, and personalized attention. We welcome you to meet us and experience excellent dental care in line with your goals. Sadie is originally from Iowa where she attended school for dental hygiene. Soon after completing her degree, she moved to Omaha with her husband Alex to begin her career in dental hygiene. After five years in Omaha, Alex was transferred here, to Kansas, where they absolutely love it! Besides her calling in dental hygiene, Sadie enjoys cuddling with her cat Pinky and loves the outdoors. Alex and Sadie spend many of their weekends tending to their beehives and enjoying their farm in southeast Iowa. Heather graduated from Kansas State University in 2008 with a Bachelor of Science degree in Journalism. It wasn’t long after she had realized the dental field was her true calling and has been with Dr. Dervin since 2011. She enjoys spending time with her Aussie husband who stole her heart while studying abroad, traveling the world, going to movies, and anything K-State. Heather is an animal lover and enjoys spoiling her two pets Daisy and Gizmo. 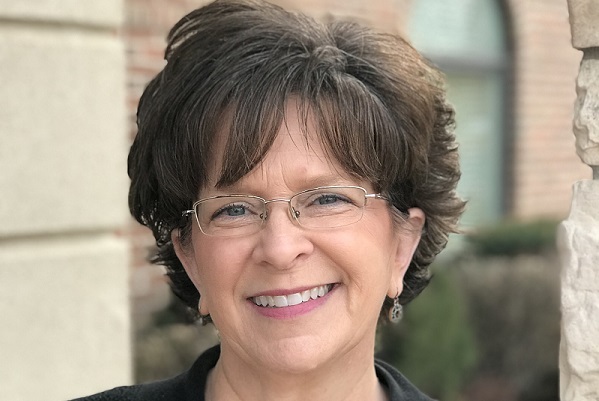 Linda began her dental career over 20 years ago as an office manager. 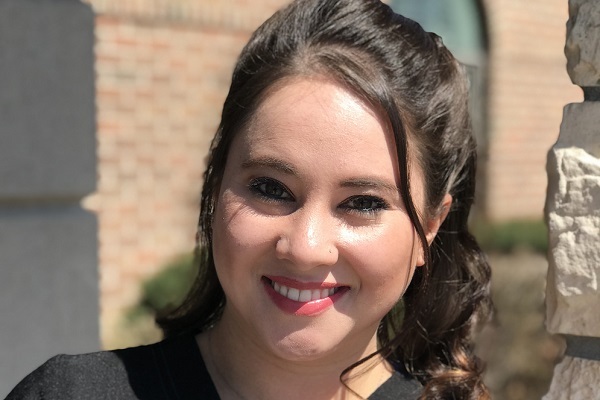 Her favorite part of the position is forming relationships with the patients and helping them to obtain their dental goals. She loves spending time with her husband, family, and friends. She also enjoys traveling the world, music, movies and her energetic little dog, Mia. Julie is a longtime familiar face in the practice. She works part-time in the office doing whatever needs to be done on the business side. 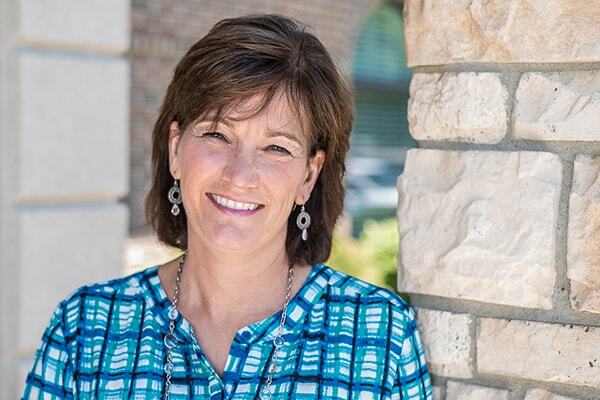 Julie has a BA in Apparel Design from Kansas State University and enjoys spending time with her family, gardening, and hugging on her favorite dog Jay. She is also Dr. Dervin’s wife of many years. Your dentist in Shawnee believes in your smile and will do whatever it takes to best serve you.